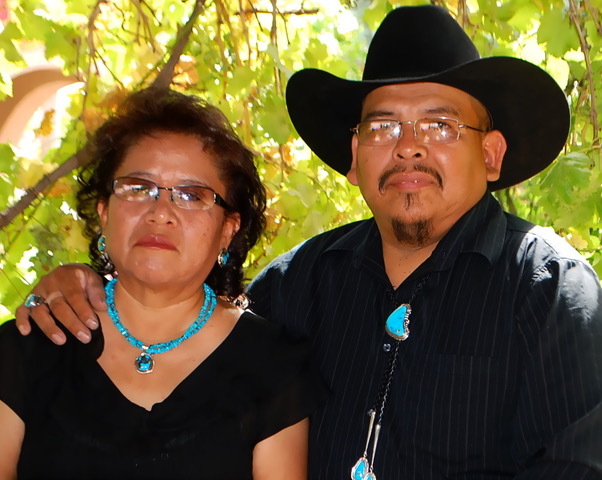 Tribe: Navajo Etta and Randy Endito have been silversmithing together since 1980. Etta, from Crownpoint, and Randy, from Smith Lake, New Mexico met in 1978. They have been married for 36 years come August. They have three grown sons and one daughter in middle school. Etta say her greatest gift for 2013 is her granddaughter Sofiia, who is four months old now. She also has a grandson, Mikey, who is eight years old. She says, “I love them with all my heart, along with their mothers.” So far, all three sons show interest and talent in silversmithing following in the footsteps of their parents. The Endito family is a true team, loving and respectful of one another. Click to view Randy and Etta's jewelry.